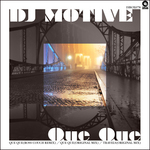 DJ Motive makes his 19BOX RECORDINGS debut with these absolutely fantastic jazzy hip hop tunes featuring a slamming remix courtesy of Ross Couch. He has delivered two tracks for his debut on 19BOX RECORDINGS that have already featured on the “Comfort Zone - Premium Night Lounge” compilation CD compiled by DJ 19. While DJ Motive may be established in Japanese hip hop circles, he’s still new to a lot of the electronic music world’s audience. As a result of this we have commissioned a cool deep house remix from none other than Glasgow, Scotland-based DJ and producer Ross Couch. DJ Motive has delivered two tracks for his debut on 19BOX RECORDINGS that have already featured on the “Comfort Zone - Premium Night Lounge” compilation CD compiled by DJ 19. While his main job is running a café & bar called alFFo, he’s been making music on the side that he hopes will appeal to the world. This is the first of many steps, but we can guarantee that his name is a force to be reckoned with in the immediate future! Back in 2001, DJ 19 wrote ‘Ocean Drive’ after he was inspired from a visit to Miami for the annual Winter Music Conference (WMC) that’s held there. It was officially released in 2003 with a Noel Sanger remix. Seeing as time has moved on since then, we figured it couldn’t hurt to remodel the original and add a modern twist for 2014. With that in mind, we have two excellent remixes to share with you. The first remix comes from The YellowHeads, who are made up of two guys from Spain. The second remix is from Genuine Fakes AKA Sota S.